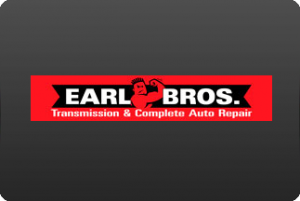 Earl Bros Transmissions has been providing professional electrical system service & repair for Toledo & Northwest Ohio car owners since 1933. Since the mid seventies, Earl Bros. has maintained the premier electrical service repair facilities in Toledo & Northwest Ohio. If your electrical system is experiencing problems, call us for help. An automobile electrical system problem or failure can be a serious safety issue which should be addressed immediately no matter how small the problem may seem. Also a part of an automobile electrical system are a computerized electronic engine control system, an electronically displayed driver information system, various types of radios and sound systems, and many other electrically operated and electronically controlled systems and devices. Malfunctioning electrical system components, or failure of any of these components will cause reduced performance, higher fuel consumption, or render your automobile unable to drive. Automobile Electrical System failures have also been known to cause electrical sparks, arcs, and even car fires. To have your car’s electrical system checked out, to discuss a potentially developing automobile electrical problem contact Earl Bros. today at any of our 5 convenient locations to schedule an appointment for automobile electric system repair and service.